Even before the original release of his Gold-selling, ARIA mainstream Top 10 and ARIA Australian Country Number #1 album Beautiful Noise, Lee Kernaghan shook the very foundations of Australian country music back in 1992 with the release of his ARIA Award-winning, The Outback Club. 20 years on and with 28 #1 hits to his credit, 10 Platinum or better releases and nearly 2 million album sales, Kernaghan released what industry insiders have called another ground breaker. 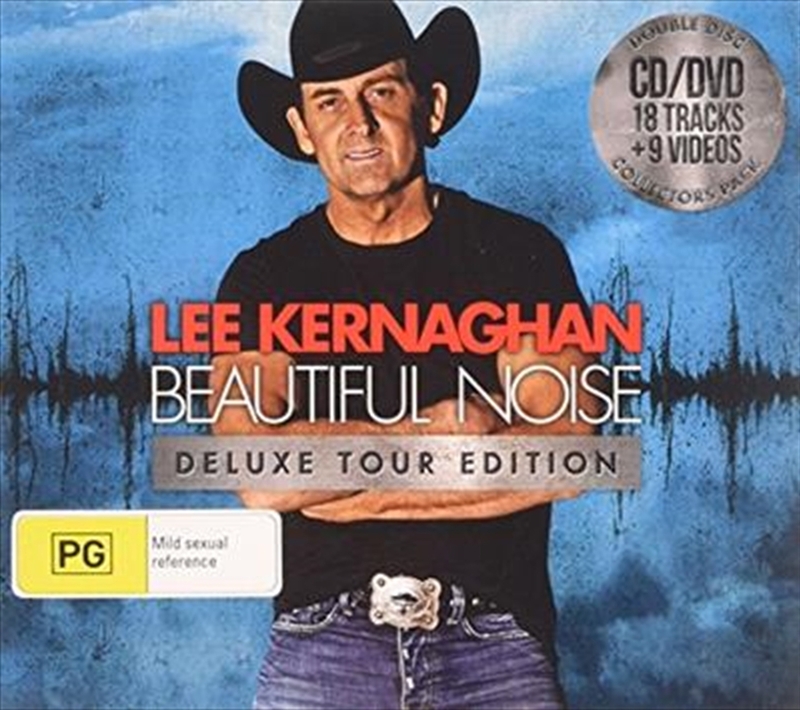 The Deluxe Tour Edition of Beautiful Noise includes 18 tracks (including previously unreleased collaborations with The Wolfe Brothers, Robby X & Colt Ford plus the Bathurst 1000 version of ‘Beautiful Noise’), 4 Music Videos and a collection of Live Performances from CMC Rocks The Hunter & the Bathurst 1000. With two #1 singles (‘Beautiful Noise’ & Ute Me’) already, Kernaghan is clearly not prepared to rest on his laurels when it comes to offering his legion of fans something new. Beautiful Noise has a giant beating country heart and an innovative approach to the music production unlike anything we have heard from him before. New single ‘Flying With The King’ is a moving tribute to Australia’s King of Country and was formed as part of an initiative to have Australia pull together on the 10th anniversary of Slim Dusty’s passing and help realise his family’s dream of finally opening the Slim Dusty Centre in Kempsey.